I finally was able to use my new Wen Snow Blaster in February when we had our first \"big inch snow (11 inches), well it was a blizzard, storm Petros. I live 3 miles from the southern tip of lake Michigan and we had a mild winter this year so have been waiting to use this.First off this snow was EXTREMELY wet and heavy but my little Wen Snow Blaster managed to get through the first 4 inch to 5 inch that fell. It was able to clear all the way down to the drive and really leave no snow behind which was impressive. Our drive is 70 feet long so it took some time but it threw the heavy wet snow about 4 feet. I can only imagine how well this Wen Snow Blaster would work in a lighter snow!I have to say that I was out 3 times clearing my drive and the second 2 I did by hand since the problem I encountered with the Wen Snow Blaster was that the wet snow kept clogging the discharge shoot and would freeze to the plastic wheels and make it impossible for them to turn.Don't get me wrong for the price this is a GREAT little machine that I would recommend to anyone. Why 5 stars? Well I feel the Wen was able to get through this \"mud inch snow and was happy with what it could do I just wish it could have plowed through the snow at the end of the drive. 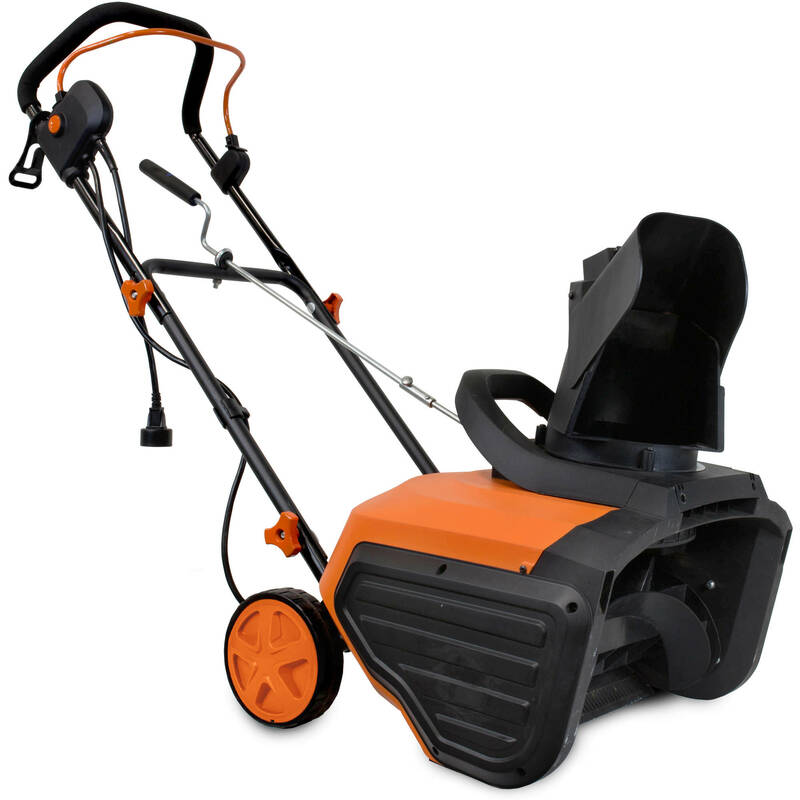 Tbook.com crawls the web to find the best prices and availability on products like WEN Snow Blaster 13.5A Electric Snow Thrower, 18-Inch. This product is one of the more popular items we list which is why it is in our "hot deals" section. If you have any questions on this product, please give us a call at 734-971-1210 during the hours of 9am - 5pm EST for assistance. Thank you for shopping at Tbook.com, the Internet Department Store!